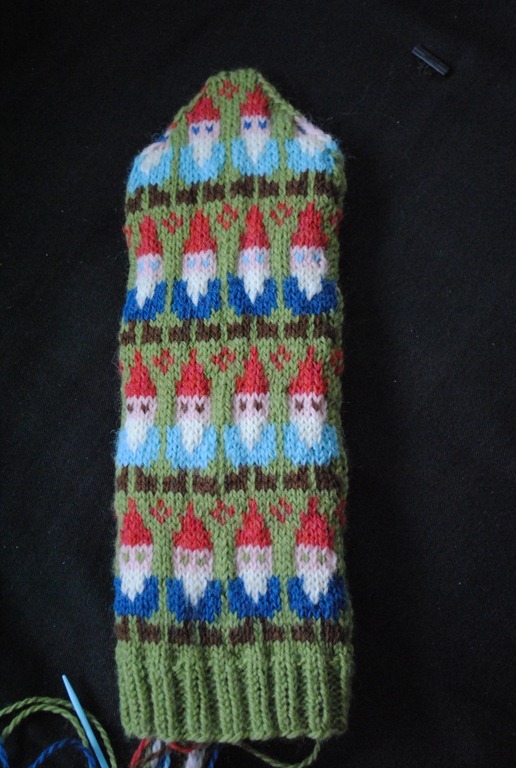 owlmazing makes….a very gnomey mitten! this week I am super duper proud to present my WIP to you. It is a pattern I am SO excited about. I can’t stop talking about it. Or GUSHING about it to my boyfriend. Or knitting it either. I started last week and I am already almost done the first mitten! Cannot believe it. It is just so fun knitting fair isle! 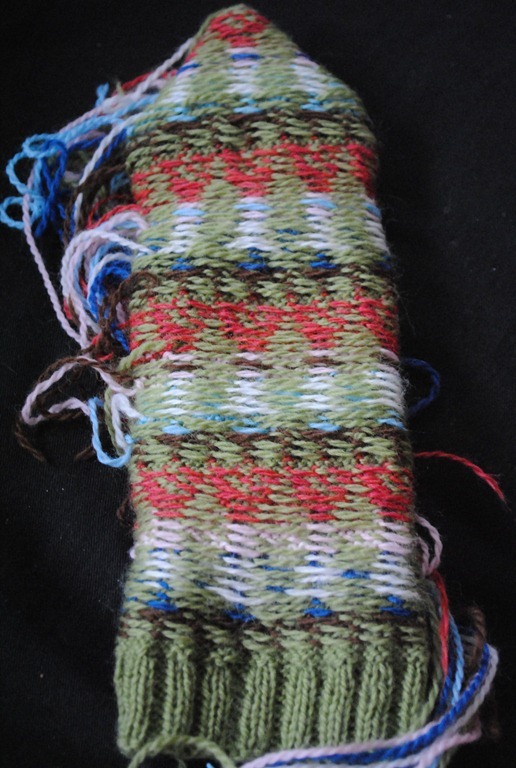 This is my first fair isle project ever, I taught myself using a book I bought last wednesday. I am SO proud of myself right now. So proud. So excited. So flippin in love. And so wishing I could start the other mitten right.now. Instead I must work on my christmas ornaments for my family. Every year my parents give us each an ornament. 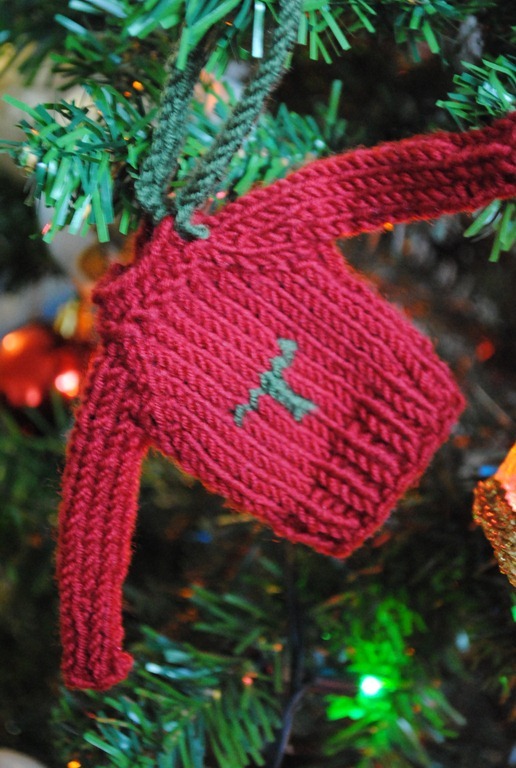 Well this year, I decided to knit us each one! I’m only done my mom’s so far though. I made up the pattern to suit my yarn and needles. Hexis are on hold until I finish these, I’m using their needles! I have 1 skein of red, 1 of green, and 1 of white. Should be able to crank out an L, M, C, maybe an S, and a J maybe as well. We’ll see. I decided mom’s first, then dad, brother, chris (my boyfriend), me, and my brothers girlfriend last if I have time (Not sure if she’ll actually be there). Check out everyone else’s WIPS @ Tami’s Amis. 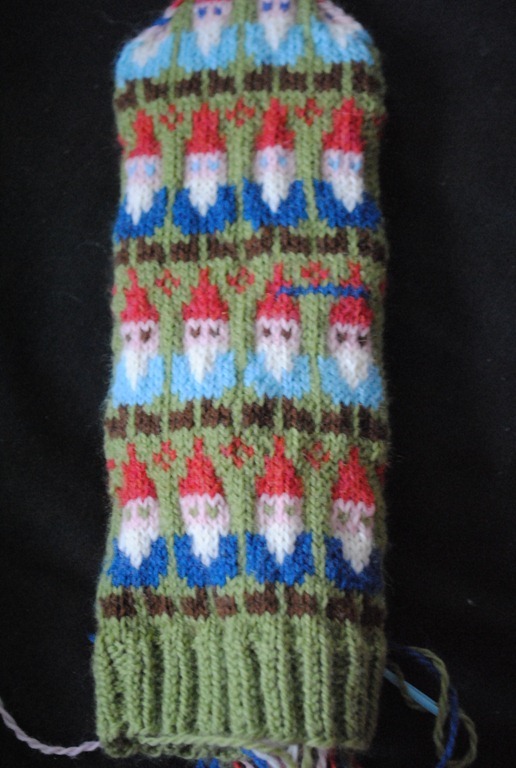 Edited to add: I forgot to link the gnome mitten pattern! It is from SpillyJane.